Ming Fay’s work primarily comments upon the symbiotic relationship between humans and nature. Drawing on an extensive knowledge of both Eastern and Western horticulture and mythologies, along with his close observation of personally collected items such as fruits, seeds, and bones, Fay often reworks nature’s forms in order to fabricate imaginary species. 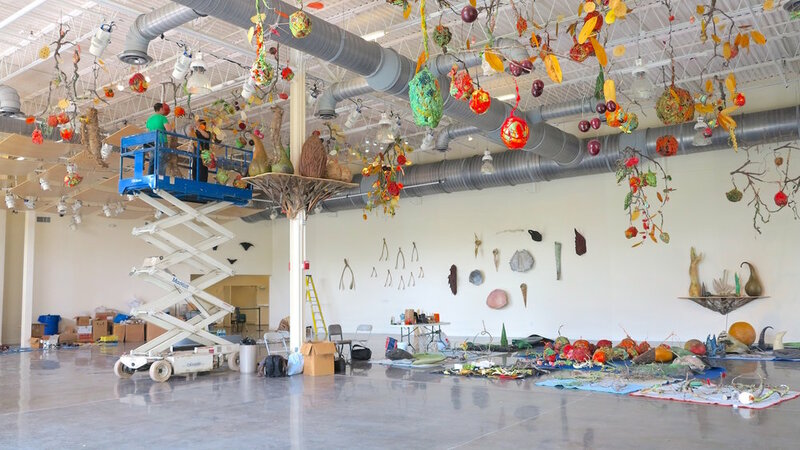 The artist explains, “Much like a scientist, I research and cultivate specific plant forms for their inherent and symbolic qualities, reinterpreting and reinventing them in my studio / laboratory greenhouse.” This results in works that range from oversized plant forms, theatrical garden-like displays, or overgrown sci-fi inspired environments. In recent years, Fay investigates the parallels between the symbolic meanings of the botanical world and human needs or desires. His installations often capture both the elation and the anxiety that stem from the encounter between humans and the natural world. He focuses particularly on the concept of the garden as a symbol of abundance or a utopia - a metaphorical location for humankind's desirable state of being.